"Stylish Patterns Top Stub Personal Checks" product is already in your cart. 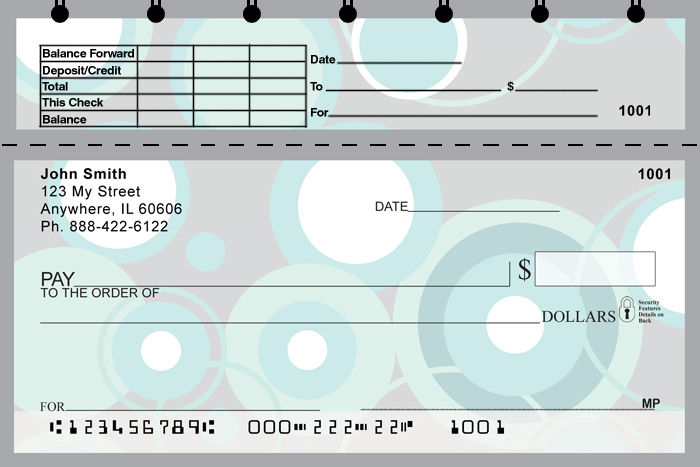 Stylish Patterns Top Stub Personal Checks are a basic design of circles in numerous sizes on a grey background. The circles are various shades of pink, green, orange, and blue.